This week when I went for market I saw baby eggplant (brinjal) I picked up as I wanted to do stuffed eggplant however when start to cut I realized the sizes are so uneven and it is not suitable for stuffed eggplant so decided to eggplant fry instead. I loved the taste. I had a bowl with yogurt! 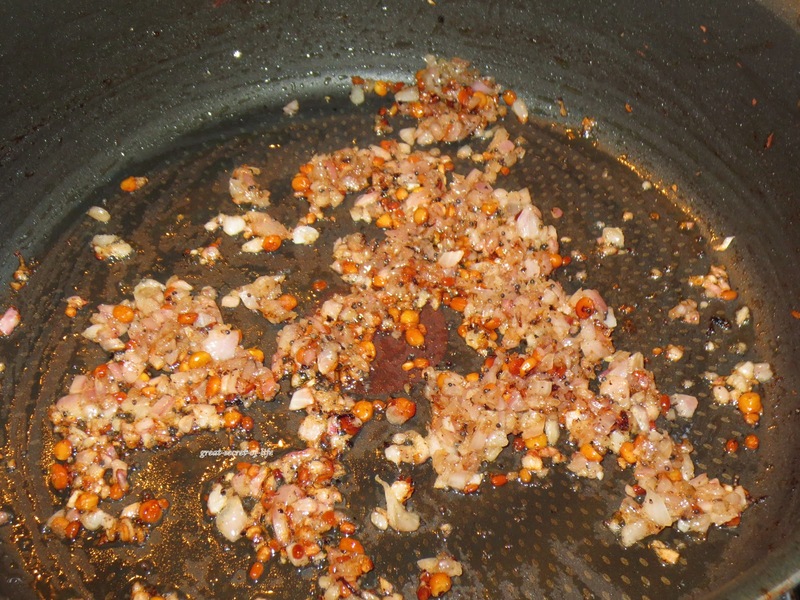 Add rest of the oil in the kada. 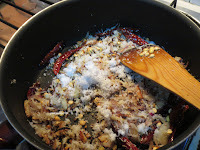 Add mustard seeds, when it start to pop add urad dhal, Bengal gram dhal and curry leaves. Fry till dhals are brown in color. 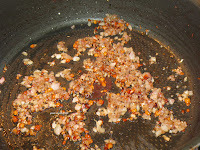 Add finely chopped onion and fry till onion is slight brown. 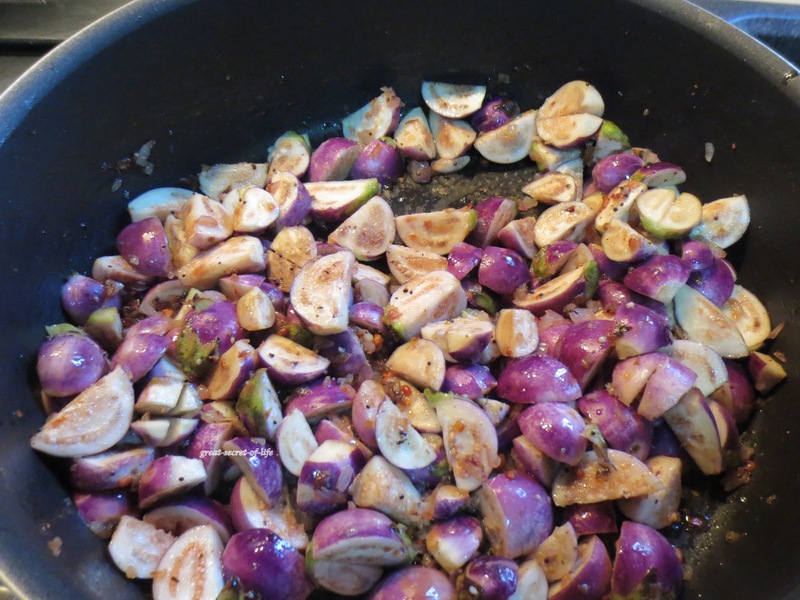 Add eggplant and fry for 2 mins. Add the masala and fry till eggplant is cooked and the curry reached desired consistency. 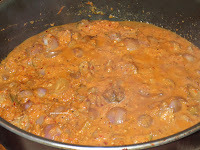 If it become dry before eggplant get cooked you can add water. Enjoy the curry. It goes well with curd rice, rasam even chappathi. I can finish just with plain curd also! nice masala to coat eggplant. yummy dish. Looks great and full of flavour! 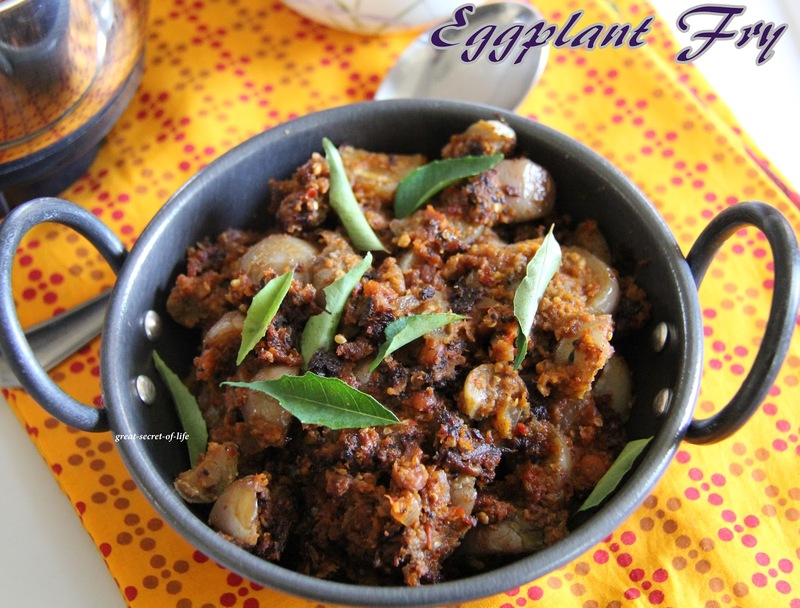 Wow...superb clicks...love eggplant all the time...thanks for sharing..
lovely mouth watering brinjal gravy. 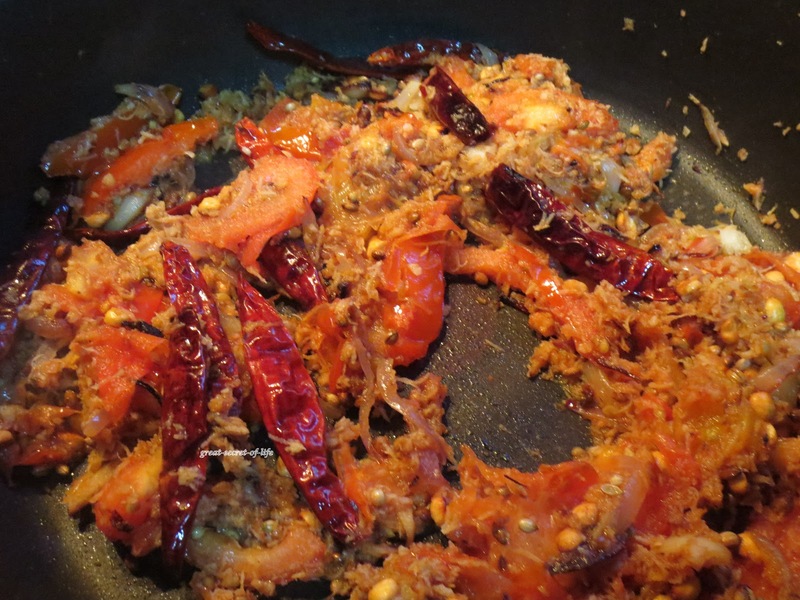 Love the masala that you have added, makes my mouth water.. 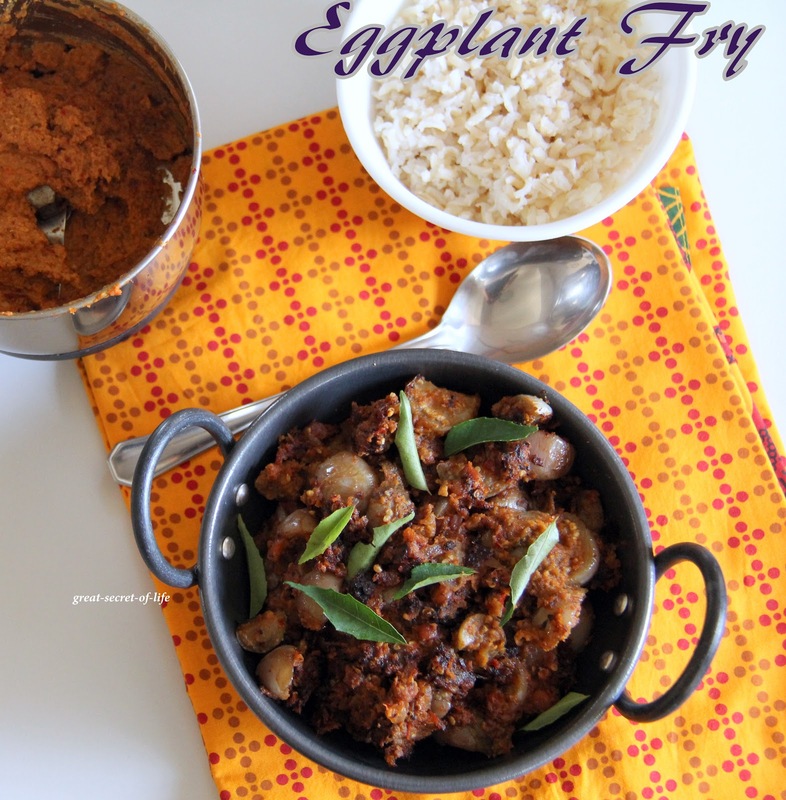 Delicious egg plant fry, I make some time just with chili powder and cumin powder. Nice aroma masala. looks delicious. 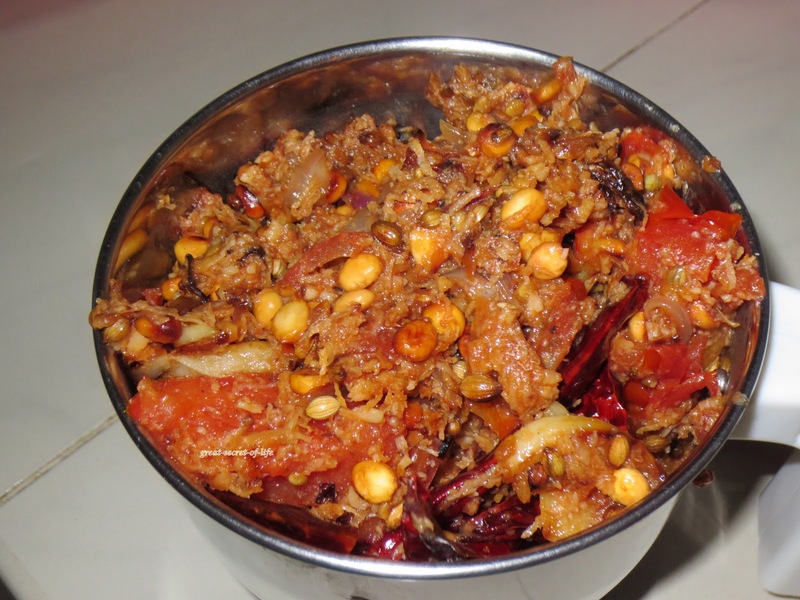 spicy and yummy looking brinjal fry...excellent preparation, will try this for sure! 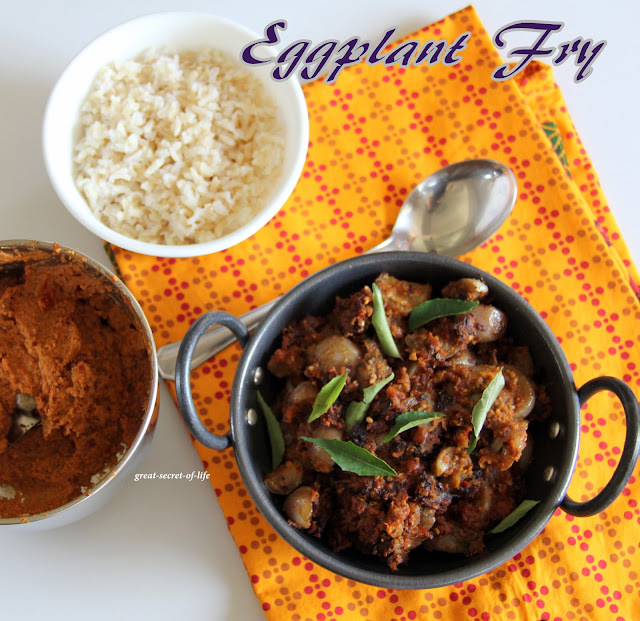 This is one of my favorite eggplant curry. You made it perfectly. Perfect balance of spices make this dish so delectable! 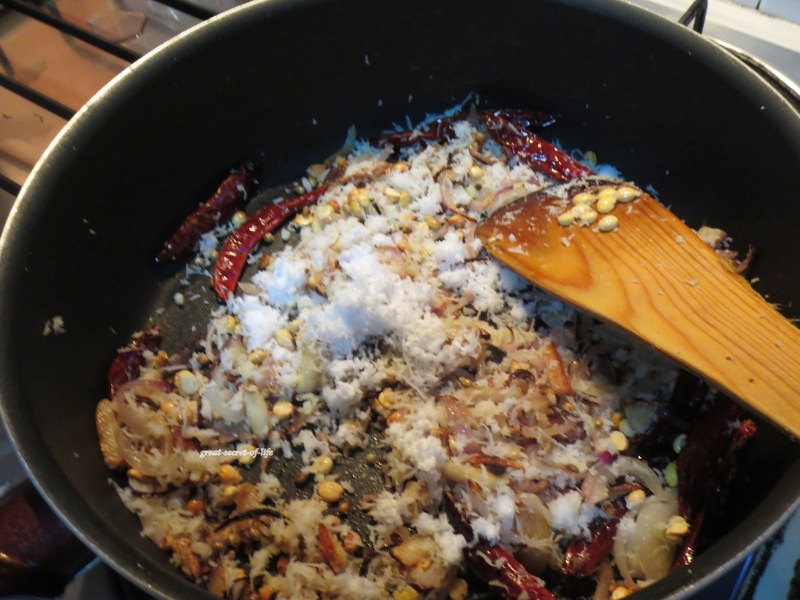 An excellent side dish for curd rice, love it very much. i love anything prepared with brinjal.. nice recipe..
We tried with rice,its very good. 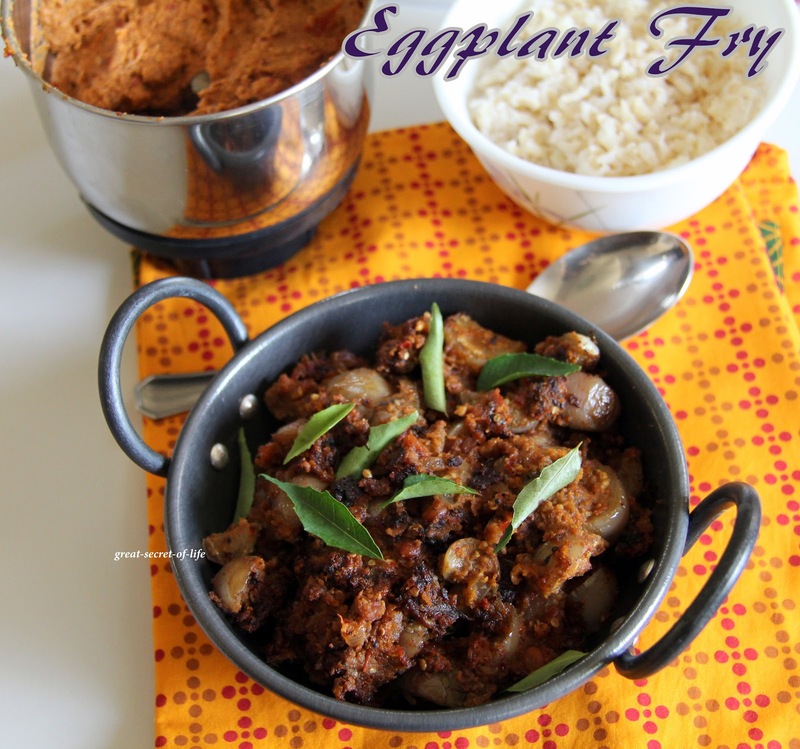 Eggplant fry looks super yum...love them..